European press publishers currently do not have an exclusive right to protect the content they produce. This leads to severe issues when it comes to licensing their digital content. On 12 September 2018, European news media closely followed the European Parliament in Strasbourg. They weren’t looking for another story as they normally would. This time, they were looking at a vote in the Plenary session of the Parliament, that could change the course of journalism in Europe. 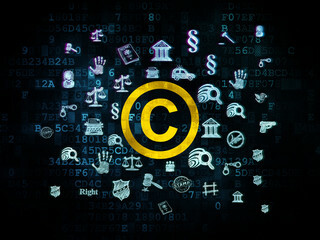 Members of the European Parliament were voting on a piece of legislation that would update the EU’s copyright legislation. The proposal, published in 2016 by the European Commission, included a provision that would help press publishers with the monetisation of their online content. The legislation that was in place at that moment, was from before the time that the internet, and online platforms such as Facebook or Google, were as widespread as they are now. There’s a delicate relationship between press publishers on the one hand, and online platforms on the other. Platforms need press content as part of its offering to consumers, while press publishers need the platforms to reach its audience. Meanwhile, both the platform and the publishers have business models that largely rely on advertising income, and so they are competitors in this space. Although… one could argue that due the sheer size of companies like Facebook and Google, there’s never been any real competition with press publishers. The online platforms could pretty much dictate the terms of engagement. As a result press content has been massively reused by the platforms without permission or remuneration and without press publishers being able to do much about it. And while the consumption of news content was never as high as it is now, the revenues are lagging way behind. Particularly smaller publishers were forced to close shop and journalists were fired. Back to Strasbourg, where the European Parliament voted on new copyright legislation that would actually recognise press publishers as rightsholders, through a so called “publishers’ right”. Such a right would give press publishers a much stronger stance vis-a-vis the platforms in demanding some sort of payment for the commercial exploitation of their content. Members of the European Parliament had been discussing the file at length of over two years. While it only seems fair that publishers get paid for the use of content they produce, it was clear from the outset that the online platforms were not going to let this one go without a fight. What ensued, was, according to one European Parliamentarian, a fierce lobby on one of the most contested files in 20 years. Despite the pressure from the online platforms, MEPs decided to vote in favor of a publishers right, thereby granting press publishers the recognition as rightsholders. Due to the imbalance in the online ecosystem between online platforms and press publishers, the sustainability of the press sector has come under threat. And where the press sector fails, democracy suffers. The press as a cornerstone of democratic societies keep those in power to account, and enable citizens to engage in informed debates. The European Parliament has not only voted to update the copyright regime in the EU, it also voted to increase the sustainability of journalism in Europe. And that is good news for everyone.